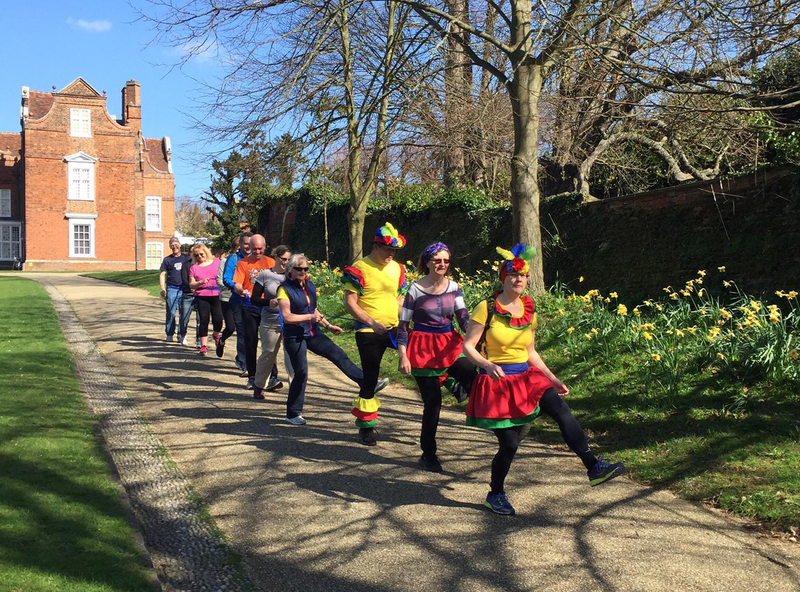 On Sunday 28 April 2019 members of the Ipswich Outdoor Group will be attempting to create a new world record! We will be dancing a conga line along a stretch of Felixstowe seafront for a distance of at least 8 miles. In doing so we hope to beat the current record of 7.5 miles set in Brighton in 2016. We are ‘conga-ing’ from the Leisure centre on Felixstowe seafront. We head south from there (towards Mannings) for half a mile, then we turn around and head back towards the Leisure Centre. We repeat this as many times as we can. We are aiming to do at least 8 miles to set a new World Record. Come along and support us as we dance. You can even join the back of the conga line for some or all of the event. In doing so we are also raising funds and awareness for St. Elizabeth Hospice in Ipswich whose professional care serves the needs of patients with progressive and terminal illnesses. The hospice needs over £9 million per annum to run its services and relies on donations to meet these costs. In 2017 the hospice provided exceptional care for Toni Wright, a community nurse who specialised in children’s medicine. Her family have been fundraising for the hospice over the last 2 years with many campaigns and have so far contributed over £70,000. It was Toni’s wish that the moneys be used specifically for transition services at the hospice for young adults with progressive illnesses. These currently cost £35,000 per annum.